444 in stock Need More ? 27 cm p. : chiefly col. ill. Reprint. Originally published: London: Heinemann, 1980. 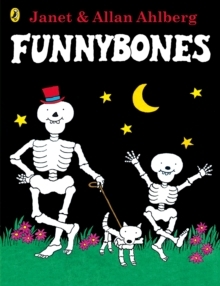 A big skeleton, a little skeleton and a dog skeleton live in the dark cellar of a dark house on a dark hill.